A bench of Justices RK Agrawal and S Abdul Nazeer said that rejection of the claims on purely technical grounds in a mechanical manner will result in the "loss of confidence of policy-holders in insurance industry". 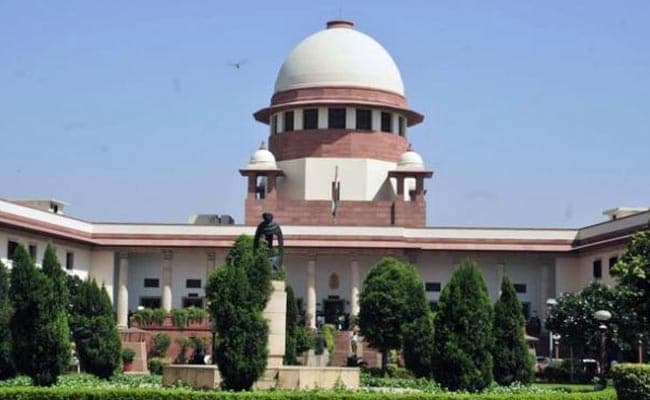 New Delhi: Insurance claims cannot be rejected if the reason for delay in filing it is satisfactorily explained, the Supreme Court has said while granting relief to a man who was denied the claim for his stolen vehicle. The observations came as the bench allowed the appeal of a man against the ruling of the National Consumer Disputes Redressal Commission (NCDRC) that insurance firms could deny the claim benefit for delay in filing it. The top court directed Reliance General Insurance Company to pay Rs 8.35 lakh to the Hisar-based customer whose insured truck was stolen but his claim was rejected on the grounds of delay in filing it. "If the reason for delay in making a claim is satisfactorily explained, such a claim cannot be rejected on the ground of delay. It is also necessary to state here that it would not be fair and reasonable to reject genuine claims which had already been verified and found to be correct by the Investigator," the bench said. The top court said that the Consumer Protection Act aims at providing better protection of the interest of consumers. "It is a beneficial legislation that deserves liberal construction. This laudable object should not be forgotten while considering the claims made under the Act," it said. The court also observed that a person who has lost his vehicle may not straightaway go to the insurance company to claim compensation and would first make efforts to trace the vehicle. "It is true that the owner has to intimate the insurer immediately after the theft of the vehicle. However, this condition should not bar settlement of genuine claims particularly when the delay in intimation or submission of documents is due to unavoidable circumstances. The decision of the insurer to reject the claim has to be based on valid grounds," the top court said. According to the appeal filed by Mr Om Prakash, his truck was stolen in Bhiwari in Rajasthan on March 23, 2010 but he filed the insurance claim on March 31 with the firm, as during that period, he was busy trying to trace it. The theft was confirmed by the investigator and a claim of Rs 7.85 lakh was approved by the corporate claims manager, it said, adding that the insurance firm denied him the amount saying he had violated a policy condition that made it mandatory to inform the firm immediately after any accidental loss or damage to the vehicle.